Athena has been around for a few years now. In that time, in many respects, this small initiative that spawned in a pizza joint in downtown San Diego has grown up into a home for deckplate innovators across the fleet. In essence, Athena has become a “Bat Signal” – A beacon for those who strive to make the Navy around them better to find and connect with, and a means to slingshot Sailors’ big ideas into prototyping, transition and implementation. Over that history, we’ve never had a proper logo. Until now. 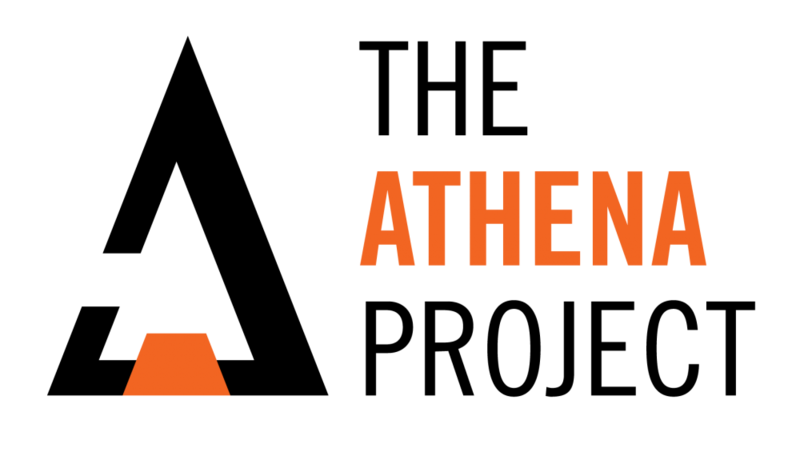 Our National Council has evaluated several potential logos from many different sources over the past nine months, and we’ve finally settled on an icon that symbolizes Athena’s focus. True to form, this logo originated from the deckplates. LTJG William McGough, formerly of USS SHILOH (CG 67) is currently laterally-transferring to become an Information Professional Officer, going through a few months of Information Warfare schools en route to the Naval Network Warfare Command in Suffolk, VA. William crafted our Bat Signal, which you see now on our homepage, to signify the spirit of The Athena Project. The logo is a Delta – an upper-case Greek letter often used to represent change in math and science, a was a worthy parallel to Athena’s mission of change through innovation. However, this Delta is not complete. It has an opening on the left side, to allow for change agents to enter into the larger movement to change from the inside. The broken left side of the Delta symbolizes the fact that the true, larger change movement cannot be completed without something. And that something is you. Inside the Delta, the white space evokes the A of Athena, with a notch at the bottom to signify the grassroots movement of Athena that this initiative is all about. Bubbling up from below, the rising orange enters into the fray to allow another avenue for the believers to enter into the movement, in an effort to complete the Delta from within. The color orange was chosen because it represents enthusiasm, creativity, determination, and encouragement. To the human eye, orange is a very hot color, so it gives the sensation of heat. Our movement embodies all these characteristics, with our mission being to inspire the next generation of Naval leaders to think differently, engage in their surroundings to develop innovative ideas, and to have the creative confidence to stand up and say something about it. You’ll also notice that the Delta’s sharp triangle evokes the Spear of Athena – a means to penetrate all barriers in its way. With the mighty ideas that Athena generates, slicing through these obstacles to transition Sailor-inspired concepts to reality is at the core of our principles and establishes the power of the movement. We hope that you are as inspired by this icon as we were, and that you’ll continue to seek out our Bat Signal, for the support you need to make your big ideas happen. Let us know what you think! And, more importantly, join us on our quest to deliver true change to the Fleet!